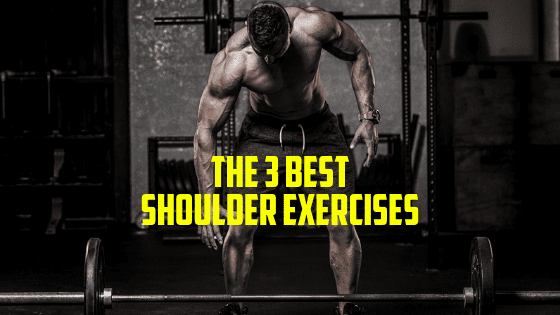 The 3 Best Shoulder exercises for broad shoulders. Every guy should want broad shoulders, it signifies strength, power, athleticism, and to a lady, it makes them think that you’ll be able to protect them which, no matter what the modern way of thinking leads them to believe, their DNA craves. Getting broad shoulders isn’t just about building bigger shoulders. It actually starts with the back. The upper and lower lats let your shoulders sit on a shelf of sorts, while your traps pull your shoulders up. 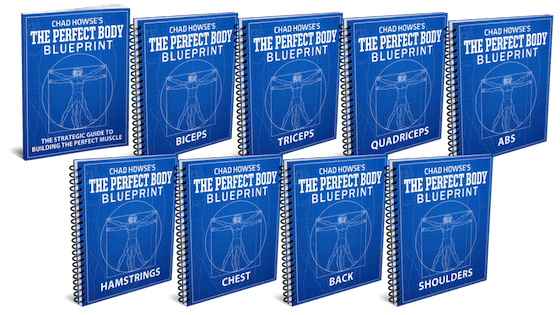 If you want to build massive shoulders and a huge upper V (the ideal shape for men), check out my program The Perfect Body Blueprint. Tips: Extend fully at the top of the exercise, and hold it for a 1 second count. Pinch your shoulders when you do this, really flex them at the top of the exercise. Tip: We almost always explode on the concentric contraction of an exercise. This exercise, however, can be done slowly, with pauses at each phase of the exercise. Tip: Fail on each exercise, then go right into the next exercise. If this requires different weights, that’s fine. It’s a burn out set, to end the workout. For most guys, building our best body doesn’t require balance, but intense focus on certain muscle groups. On top of that, to build each muscle fully, and wholy, we need to do a far greater variety of exercises that balanced training programs allow. Most training programs won’t hit the entire muscle, especially when it comes to the back, check, quads, and delts, but it’s true for the arms and basically every muscle. If you want to see real, visible gains in the mirror, I suggest taking 6 months and doing the Perfect Body Blueprint. Get faster results that you can see in the mirror by working on 2 specific muscles while maintaining the rest. Build the ideal X shaped physique, broad shoulders, thin waist, and big legs. Get stronger in your weakest areas.